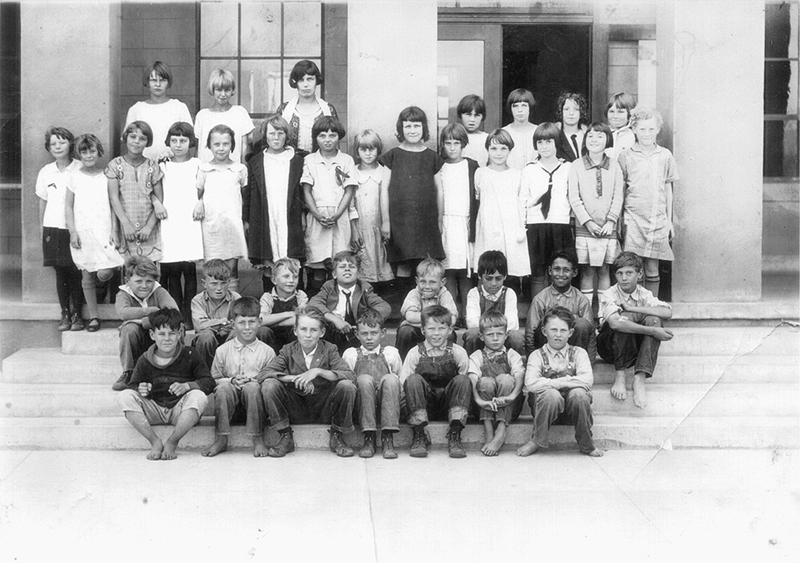 Fourth grade class at Newhall Grammar School, 1925. "This was my brother's class, but he must have been sick that day, since he's not in the picture. Note how many boys have bare feet." KU2502: 9600 dpi jpeg from copy print.